​Any weather-related postponements and/or cancellations will be announced here. Summer Prelicensing & CE Schedules Coming Soon! ALREADY KNOW WHAT YOU'D LIKE TO TAKE? ​I had the opportunity to use your self-study curriculum for licensure of Life and Health and I passed both exams on my first attempt. Mr. Rendleman’s instructional CDs were packed with information needed for the test as well as entertaining. Thanks for producing such a concise suite of learning tools and pretests that enabled my success. Jeff did an amazing job teaching all of the courses I took over the past week and a half (Life, Health, MS/LTC). I'm pleased to report that I passed all three state exams this morning. Tammie is awesome. She tells you what you need to know—period. She gets an A+ in my book! I want to say thank you to all your personnel for being there to help. I took five state licensing exams and PASSED them all! A special thanks to instructors Jeff and Tammie—they are great! P.S. All it takes is a listening ear during class, study time (a lot of that!) and confidence that you can do it. 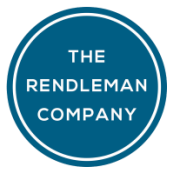 The Rendleman Company is a private insurance training company that has been serving agents and adjusters with licensing and continuing education for over thirty-seven years. We offer insurance prelicensing courses through both classroom and self-study training, as well as a variety of Continuing Education (CE) classes. Our courses are taught by professionals for professionals. Each of our outsourced instructors is highly qualified in the insurance and financial services industries. We believe that every student who attends our courses should leave the classroom feeling that he or she has had a positive experience. Most importantly, we want our students to feel that the class was informative and educational. Our goal is for you to learn new things every time you visit -- things that can be taken back to the office and used in a practical manner to benefit both you and your clients. This is The Rendleman Company's philosophy of insurance education; this has remained a cornerstone of our business since we opened our doors in 1982.